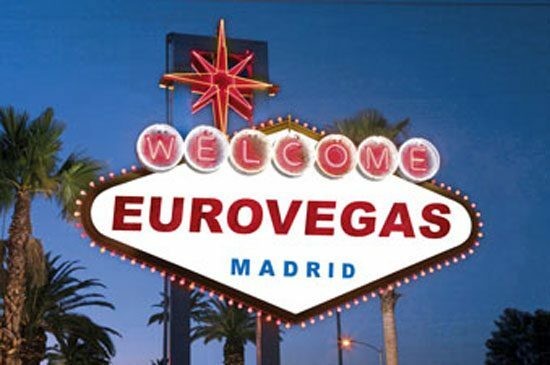 The decision of the magnate Sheldon Adelson to choose Madrid as location for his macro leisure complex Euro Vegas favours the Costa del Sol as the beach destination for millions of tourists that this project is going to attract in the future. Malaga has an infrastructure that shortens distances to the Spanish capital to two and a half hours traveling in AVE high speed train and less than an hour by plane, with a large number of flights and transport options available to and from Malaga airport. However, the competitive advantage of the Costa del Sol is the fantastic climate, which will serve as a magnet for tourists in winter when the thermometer touches zero degrees in Madrid, compared to an annual average temperature of 19 degrees and with over 300 days of sunshine to be enjoyed in the province of Malaga. Furthermore, the Costa del Sol has the largest range of accommodation in Andalusia, with 2403 tourist establishments with 165,552 beds, of which almost 84,000 are hotels and 64% of these facilities are four and five stars hotels. And surely there will be many tourists who take advantage of the trip to Madrid to travel to Marbella, the Costa del Sol municipality that is known as a luxury destination. The Fee Club is excited about the opening of the resort and all the opportunities that will come from this. We believe Madrid will make a perfect Junket trip destination for our members; as a beautful city with a vibrant nightlife, we are positive it will appeal to many.